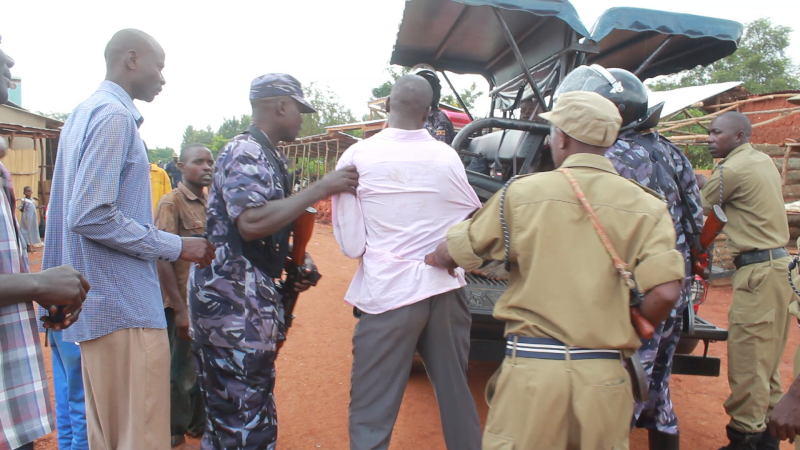 One of the suspects is whisked away by police after he was arrested in Nabiganda Village Butaleja District. Courtesy photo. Butaleja: A woman and nine men are cooling their heels in a Butaleja police cell after they were picked up in an operation to help electricity company, Umeme, stop the haemorrhage of up to Shs450 million due to power theft. Butaleja District Police Commander Patrick Odokonyero revealed that arrests of the ten suspects followed an impromptu operation which the utility company conducted on Thursday. The operation was informed by increased power theft in Bukedi sub-region which has cost Umeme close to UGX450 million monthly, according to the area manager, Paul Ssempira. “In the entire Bukedi sub-region, we lose about 700,000 units which amounts to about Shs 450 million,” Ssempiira said. 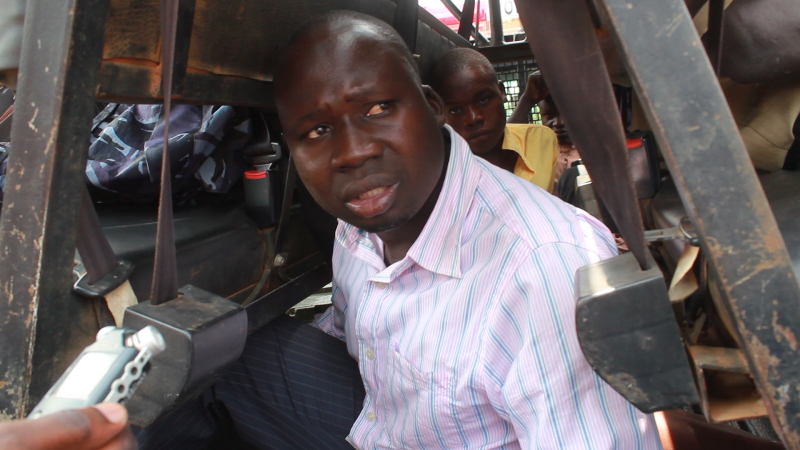 Police arrest a suspect from Kachonga, Butaleja District. Courtesy photo. Umeme staff combed locations in Mpologoma, Nabiganda, Doko and Kachonga villages during the operation which is planned to spread throughout all the five districts of Bukedi sub-region. Odokonyero said the operation largely netted domestic users, who according to Ssempiira, are single phase users who attract a high charge. A day in court awaits the suspects, police told PML Daily. He noted that Umeme loses about 200,000 units on the Kachonga line alone amounting to about Shs 130 million monthly.